Over the course of Mega Man's 30-year history, the adorable blue robot has worked his way through more than 130 evil robots. 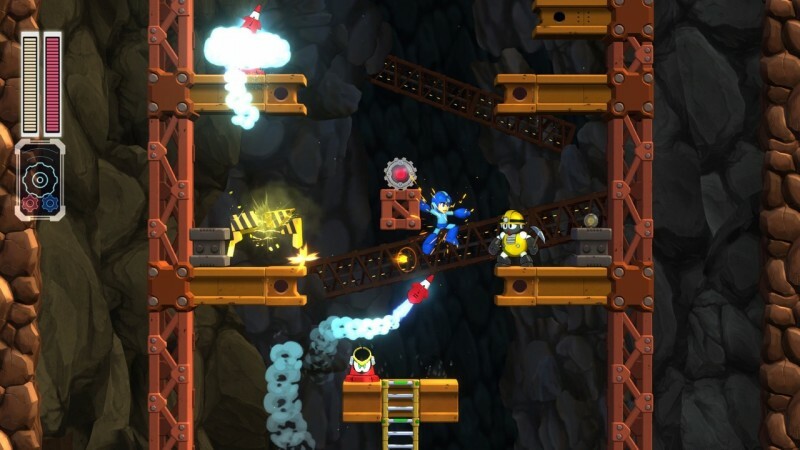 You might think Capcom was starting to run out of ideas (the last Mega Man game included a character called Sheep Man, after all), but Mega Man 11's Robot Masters are as inventive as ever. 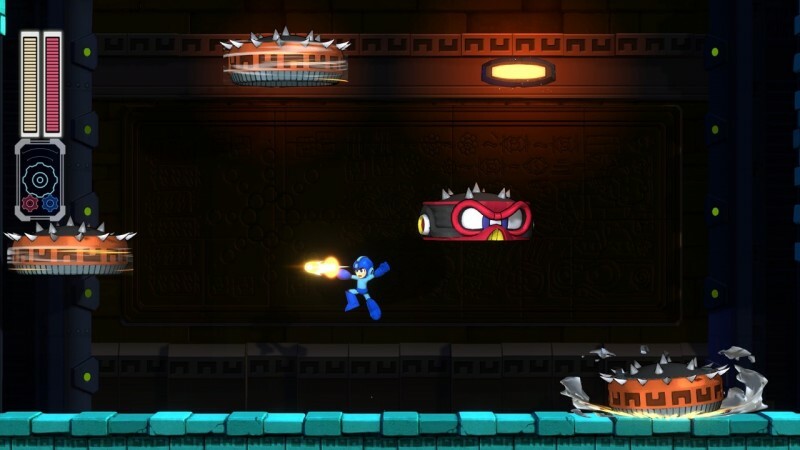 Unfortunately, Capcom is being tight-lipped about these new bots, so we've scraped together every little detail we could collect related to Mega Man's stylish foes. 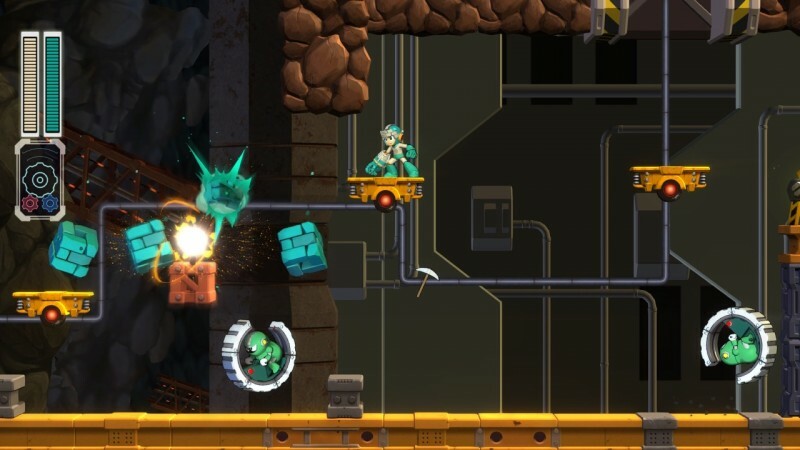 Like usual, Mega Man 11 will feature eight Robot Masters - And you will be able to choose the order that you tackle each boss from the start of the game. 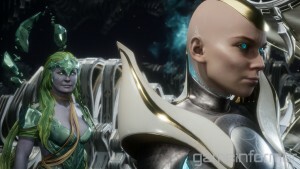 The robot master pictured above isn't Brick Man - This is the only Robot Master that Capcom has shown off so far. He was originally called Renga Man, which translates into Brick Man, but his official name is now different. Capcom also said that out of all the robot masters, he was the most energetic and adored by Dr. Light. Discerning the link between a Robot Master and their weakness will make more sense - "I think it's important to bring back the intuitive nature of the relationship between the robot masters and their weapons," says Tsuchiya. 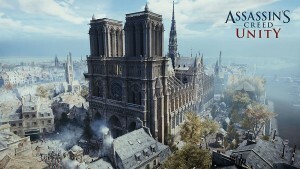 "If you look at some of the earlier titles, the relationship was a little easier to understand. For example, if there was a robot master that was focused on ice, it was very obvious that you had to use a fire-based weapon to defeat them. As the series went along, it became a little more difficult to figure out. Both from an R&D and from a consumer standpoint. For example, it's like, 'Okay you have a centaur, knight, and samurai... who's strong or weak against what?'" 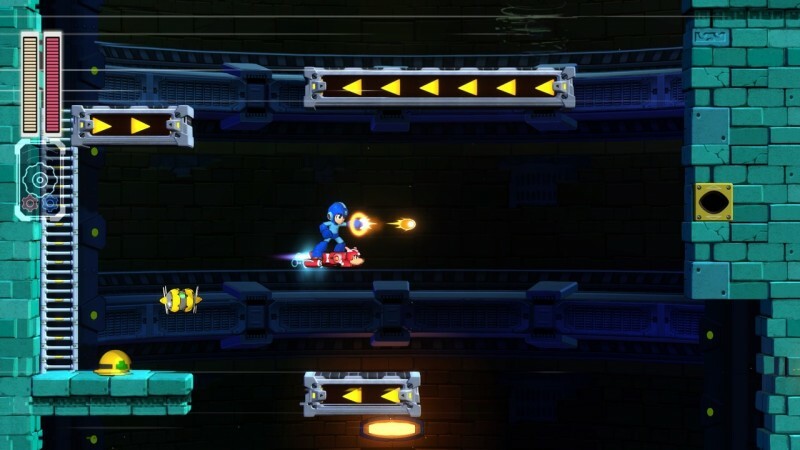 Switching between Robot Master weapons is easier than ever - All of Mega Man 11's weapons are attached to a direction on the right analog stick - kind of like an invisible weapon wheel - which makes swapping to your favorite weapon much quicker. This might also allow players to string together robot master attacks like combos. We know about two robot master attacks - The first robot master attack comes from the robot master pictured above. 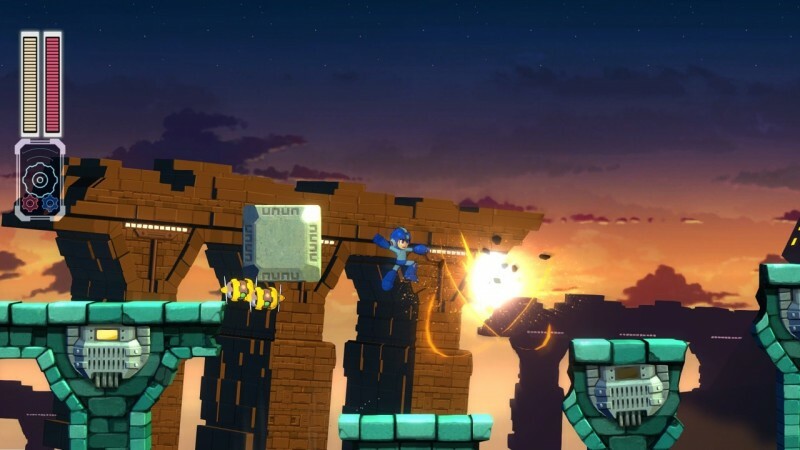 This attack allows Mega Man to create blocks that fall out of the sky, which is useful for hitting enemies when they least expect it. 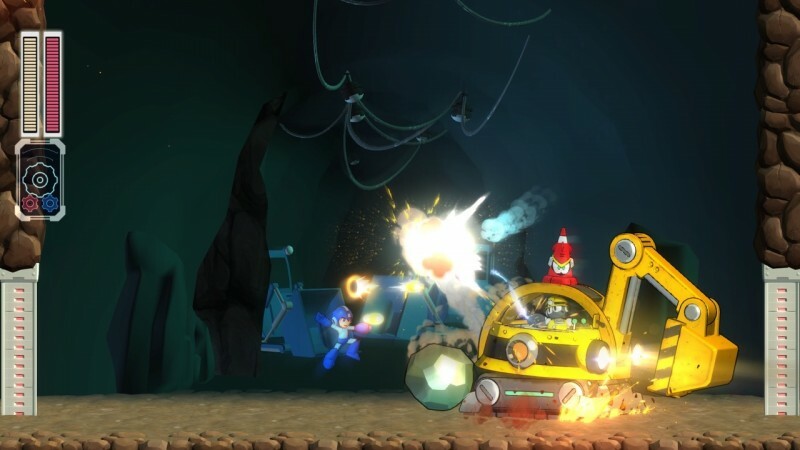 The second is a powerful physical attack that transforms Mega Man's fist into a massive jackhammer spike, which can also be used as a mid-air dash attack during platforming sequences. Designing Robot Masters is harder than you think - "From the distance, it might look like a very fun thing to work on, but when you actually dig deep, it's really difficult to figure out what really jives with each other," says Mega Man 11 director Koji Oda. "You might create a certain element for a robot master, but then you end up realizing that it's difficult to design what the robot master will look like. 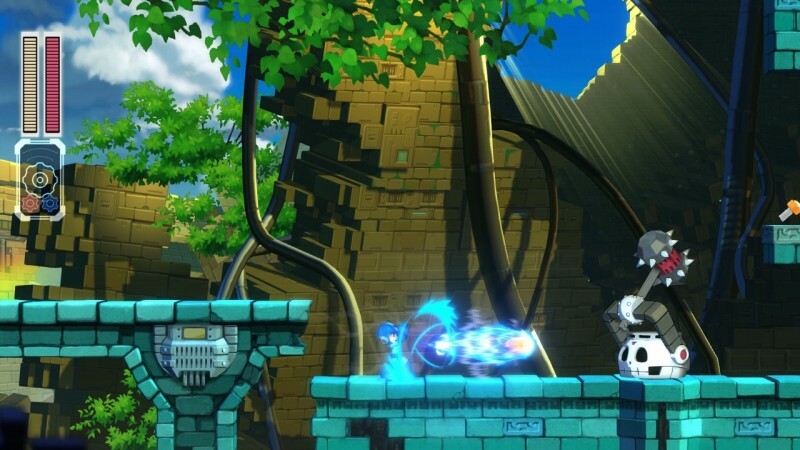 It might be difficult to envision what the stage would look like, making sure that it doesn't mimic the style of a previous robot master. There's a lot of different factors that, unless you start working on it, you don't realize. We've come up with hundreds and hundreds of robot masters with different concepts. 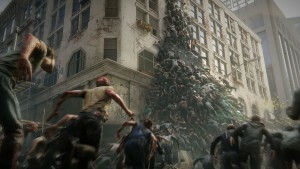 It's really boiling it down to what not only works individually but how it pairs together." 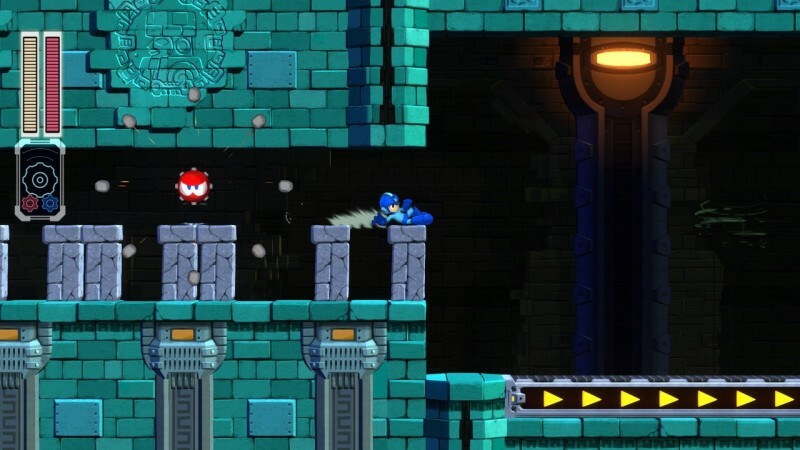 The robot masters in Mega Man 11 were originally created by Dr. Light - "We went back to the original concept, where the robot masters were created by Dr. Light, kidnapped by Dr. Wily and modified for evil purposes," says Mega Man 11 producer Kazuhiro Tsuchiya. 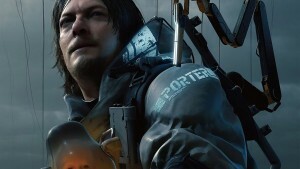 "For mega Man 11, we went back to that original premise. I think with every mega Man game, it's all about Dr. Wily doing something devious, but we wanted to go back to the original plot where mega man is fighting against former allies. 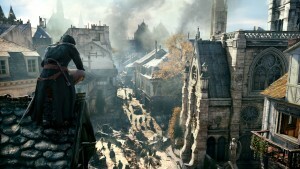 We thought that was just inherently more interesting and added a little more depth." The robots were designed to include a mix of comical, mysterious, and serious designs - "When I looked at the enemies for Mega Man 7 and onward, I felt like they had more color variety, but the individual personalities of each enemy was lessened because of that. I cut back on the number of colors for the enemies, so you can really see the distinction between each enemy. I don't want players to be sad when they defeat enemies; I kind of envision it as they're all having fun on the playground." We know how big all of the Robot Masters are - During the livestream for the Mega Man 11 reveal, Japan got some extra footage, which showed Mega Man 11's start screen. In that footage, you can see all of the robot master's silhouettes. 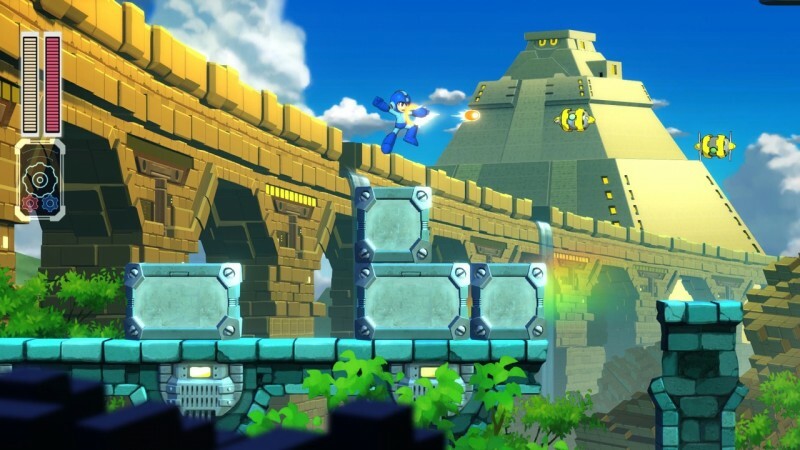 The theme of each stage will better match up with each robot master - The robot master who was originally called Brick Man has a level that looks like an Egyptian desert, complete with a pyramid that is designed to look like the robot master. 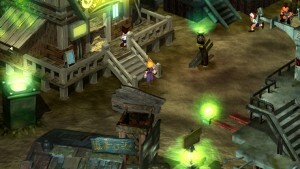 Most stages will allude to the boss at the end of the level in this way. 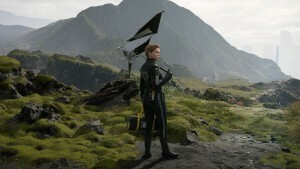 There will be no female Robot Master in Mega Man 11 - "There actually was a female robot master at the concept stage, but when we paired up all the different weapons, she was one of the robot masters that didn't make the cut," says Oda. 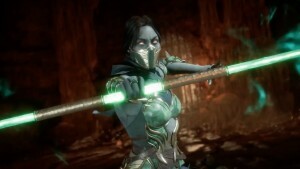 "We definitely feel like there are plenty of opportunities to add a female robot master in the future. 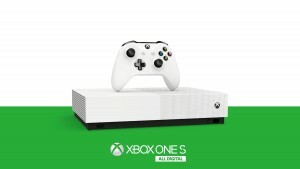 This is one of those things where we feel like it's all about what fits best for each occasion, and there are definitely occasions where a female would be more appropriate than a male." 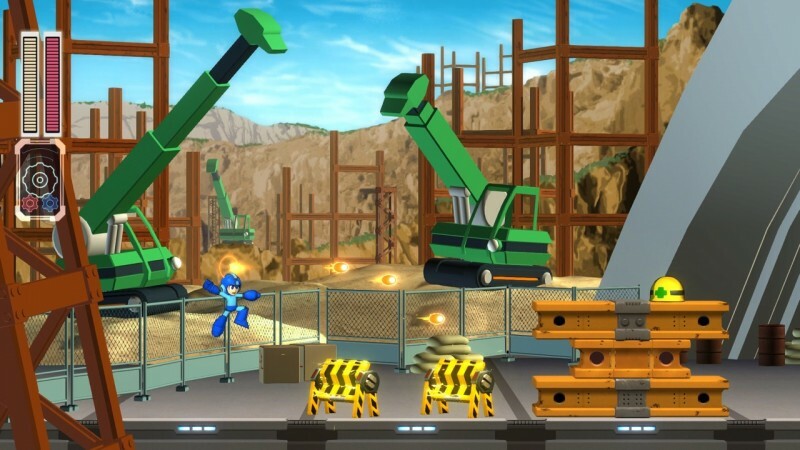 The studio finds inspiration for robot masters in real life - One of Mega Man 11's robot masters features a construction theme, and the team came up with this design because there was a lot of construction happening around the studio at the time. Click on the banner below to enter our constantly-updating hub of exclusive features on Mega Man 11.